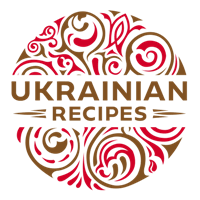 Varenyky are a part of national Ukrainian cuisine. 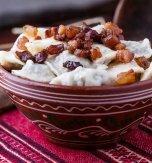 For many Ukrainians, sweet dumplings were a favorite food in childhood, which today brings nostalgia and happy memories. Isn’t it great when a dish can take you back to a certain period and place of your life? If yes, then this recipe just fits the bill. 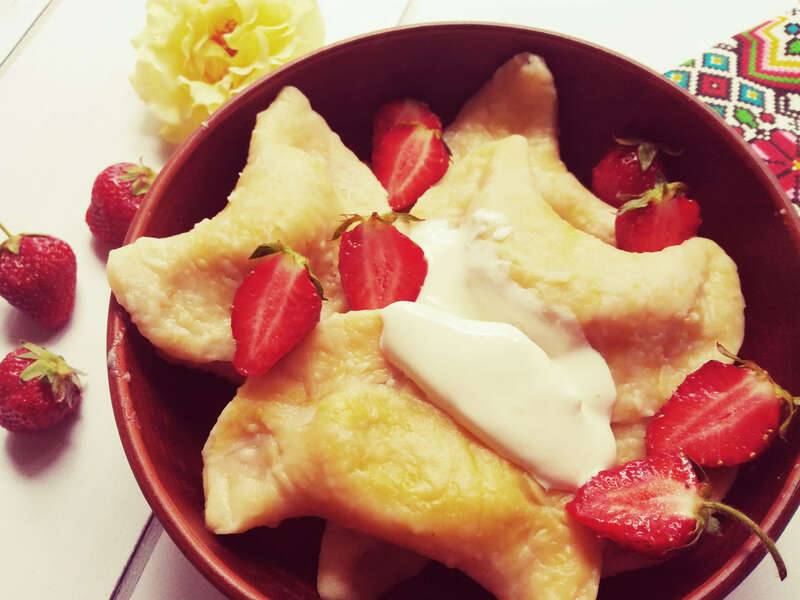 Let’s together return to youth and enjoy the scrumptious taste of varenyky filled with a savory strawberry filling. The advantage of this dish is its simple recipe you will easily handle. Plus, these dumplings can not only be boiled but also frozen and will become your magic wand when you need to treat unexpected guests. Wash strawberries under running water thoroughly and put them in a colander to let water drain. 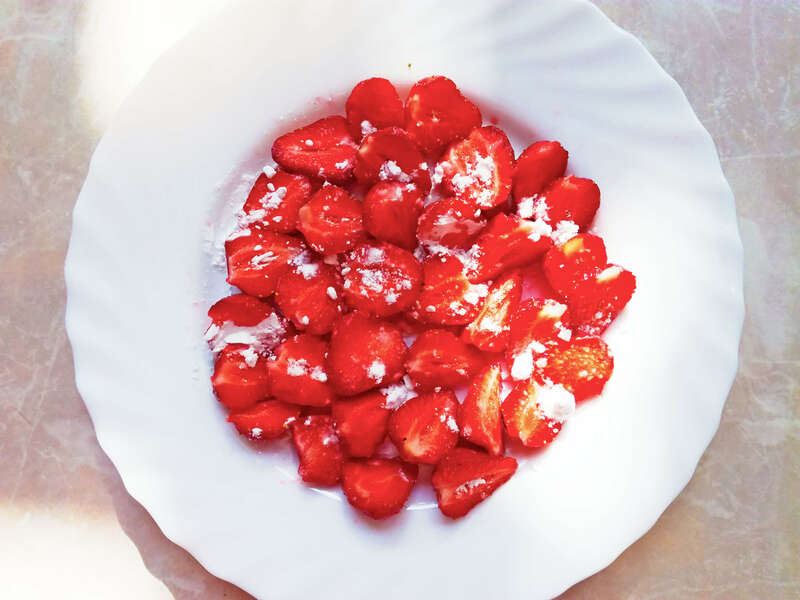 Separate strawberries from their stems and cut them into slices (the width of the slices depends on the size of your strawberries and the size of varenyky you want to make).Top strawberries with starch that will soak moisture. Leave the berries for a while. Put flour into a big pan and make a hollow in the center. Pour milk, vegetable oil, and warm water just right in the hollow. Then add one egg. Mix all the ingredients carefully and knead the dough until elastic (add flour if needed to ensure the dough does not stick to your hands). 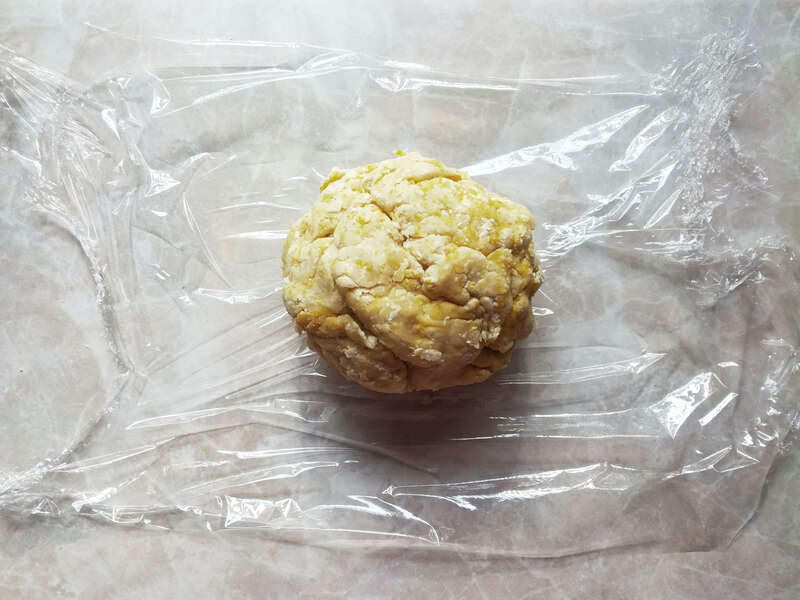 Cover the dough with cling wrap and leave it in a warm place for 40 minutes. 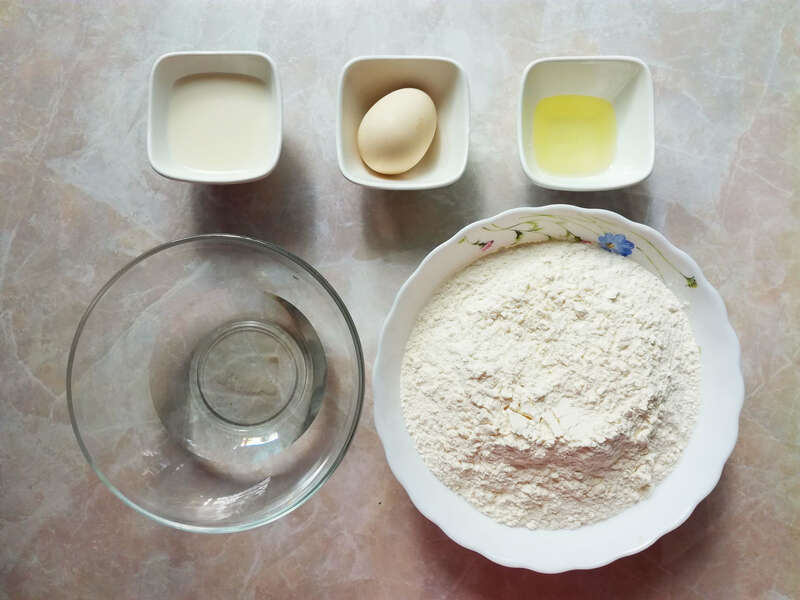 On a floured board, divide the dough into three equal portions. 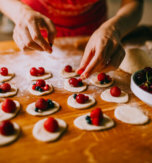 Roll the first piece of the dough – the layer should not be too thick, in another way you won’t get tender varenyky, and at the same time it should not be too thin - otherwise, the strawberry filling will leak. Cut out circles using a round glass or a cookie cutter. Combine the pieces around the circles and add them to the rest of the dough. Put powdered sugar in the middle of each circle. 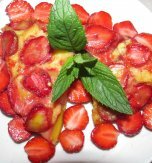 Add strawberries slices above. Take one circle and make a half moon, keeping the berries from moistening the edges and sealing the circle tightly on the sides. Work with other dough circles. Then move to the next dough portion and repeat the same procedure until all dough is used. While shaping varenyky, bring a pan of water to boil. Reduce to a gentle boil. 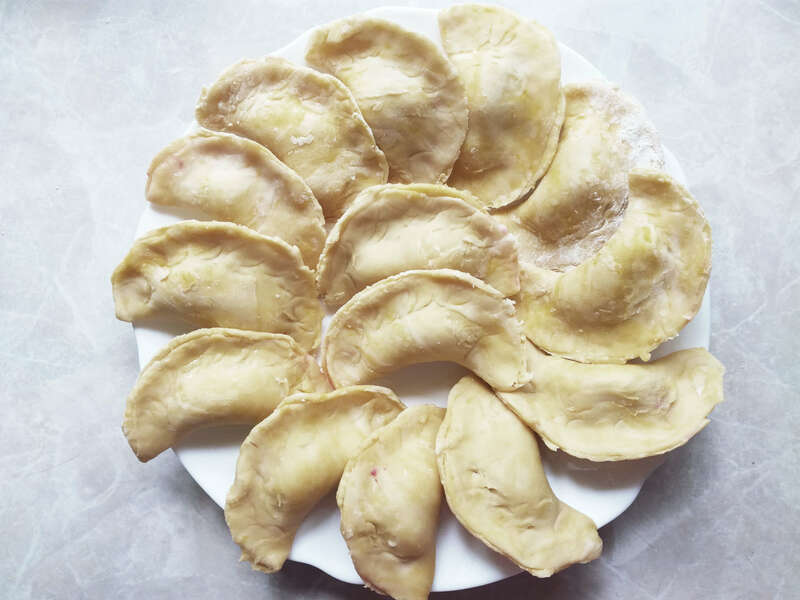 Transfer dumplings to a pan (if you wish, you may cook only one portion of varenyky or boil half of them, left dumplings can be frozen). Boil varenyky for around 7-10 minutes, stirring them from time to time to prevent sticking and uneven cooking. Fish out dumplings with a slotted spoon. 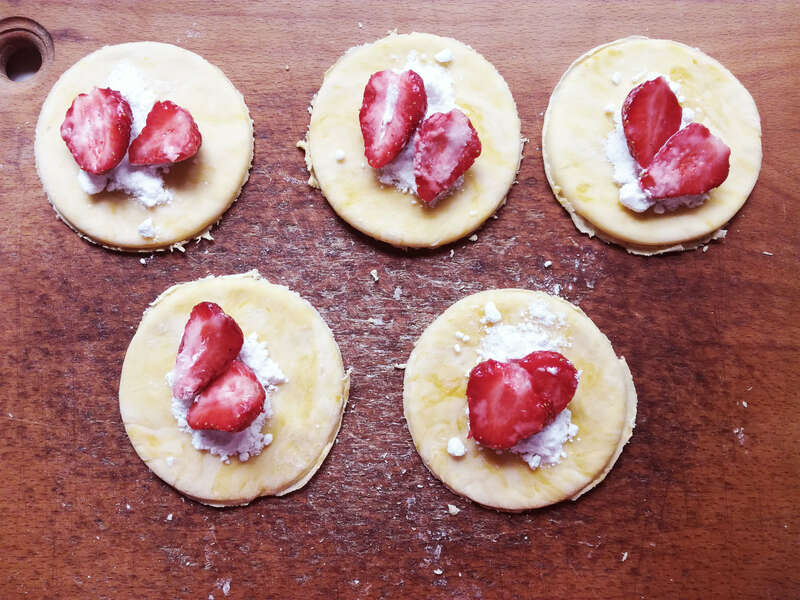 Transfer them to a serving plate and decorate with a dollop of sour cream and strawberries. And, as we say in Ukraine - Smachnoho! =Enjoy your meal! 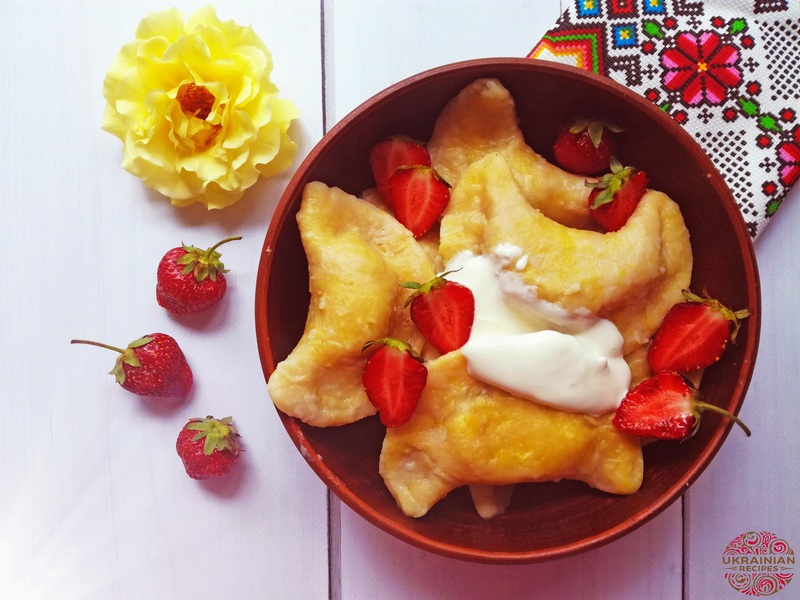 Have you liked the recipe for Ukrainian varenyky with strawberries?